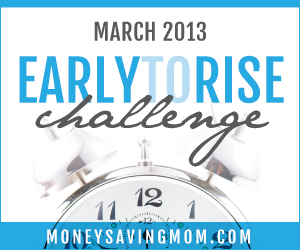 This is Day 26 of Money Saving Mom's Early to Rise Challenge! I struggle with what to write today about our subject, loneliness. Am I scared to write about it? I don't know, we'll see. Loneliness is often an indicator of something bad, a dark time in life, or possibly even a time of depression. Being lonely, not having anyone notice you exist and are worth getting to know, feeling lost as if the ones you love deeply and who are supposed to return that unconditional love have decided they no longer want to know you or have turned against you. Shutting everyone out not because you want to but because you can't bear to be around anyone else and you don't know why. Loneliness can be all these things and so much more. Loneliness can be one of the most feared emotions we face. But loneliness can also be an indicator that you are getting somewhere. When paired with a goal, loneliness can be a sign that you are different, in a good way. You are doing what others don't want to do to reach those goals. You're putting away all the lies that whisper in your ears and keep you from even attempting whatever your challenge is. I can't say I've felt lonely on this challenge, but I have felt it during several other times in life, some of the worst ones right now. So, what time did I wake up today? 5:02 am! I lied awake in bed for a couple minutes listening to the rain on the roof. It was quite relaxing and I'm so glad I started out my day that way. If you are feeling lonely in this journey, or whatever your challenge is, let me encourage and pray for you. Your willingness to "sucker punch your challenge", make some goals and change your life, and possibly the lives of your family is inspiring to say the least. Heavenly Father, I pray for those out there reading this. I pray for the ones who are on a journey to be different with a goal planted in their hearts by You. Lord, these challenges you've placed on us are worthy to be walked, and You are Worthy Of Praise during the successes and during the loneliness. Please use these emotions you have so graciously given us to experience as tools to draw us closer to you as reminders for us to seek you when we feel lonely. 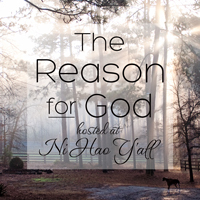 So, Father God, I ask that you bless those who's journey has told them day in and day out that they are different. I ask that you remind them they are never truly alone because we know you are always with us. Cover them with Your Love, Your Grace, Your Mercy. Give them the endurance to meet their goals. Give them the eyes to see Your Hand in this. Help them to know they are moving the right direction. We love you! In Jesus name, Amen.